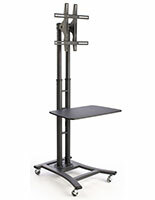 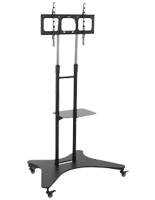 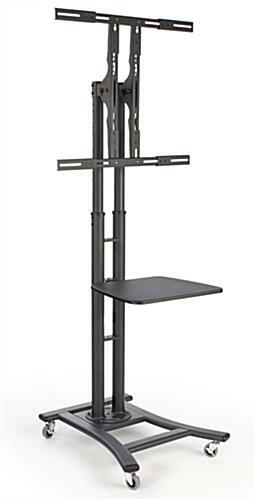 These adjustable height television carts have (4) locking wheels for extra mobility. 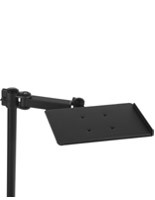 The black stands also come with a 19" wide shelf for AV equipment like laptops, projectors and cameras. 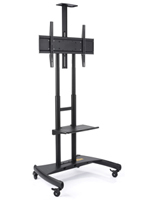 The television carts include tools, screws, washers and spacers for convenient mounting. 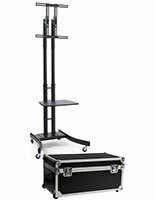 Each of the fixtures with locking wheels can display flat screens in a portrait or landscape orientation for any presentation need. 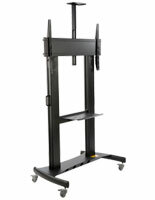 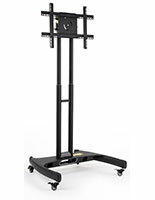 The black carts can support screens measuring between 32" and 70" that weigh less than 110 lbs. 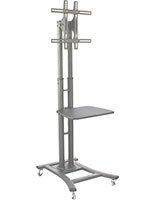 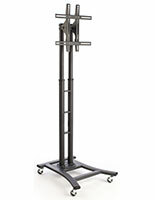 Additionally, the stands with included tools and an equipment shelf can be altered to measure between 44" and 71.5" tall.